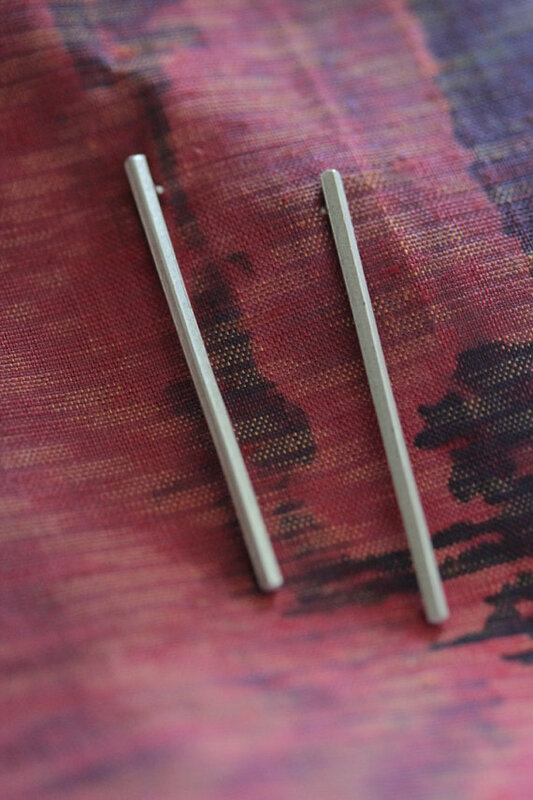 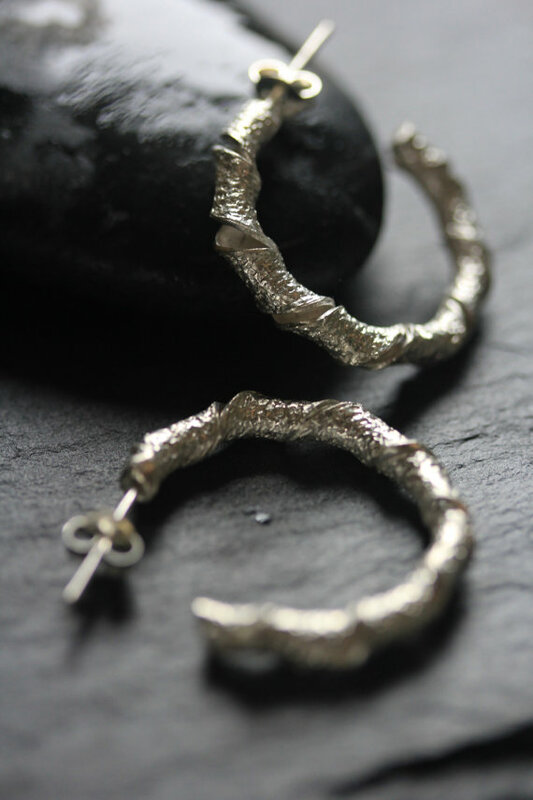 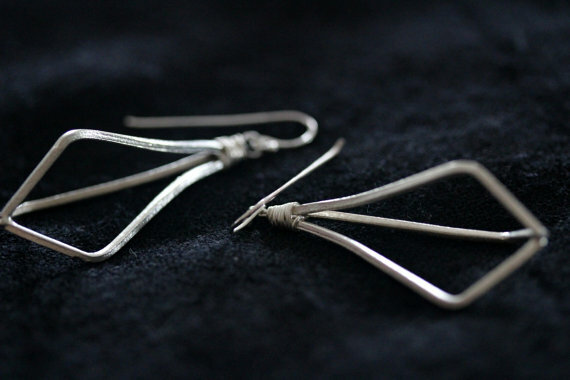 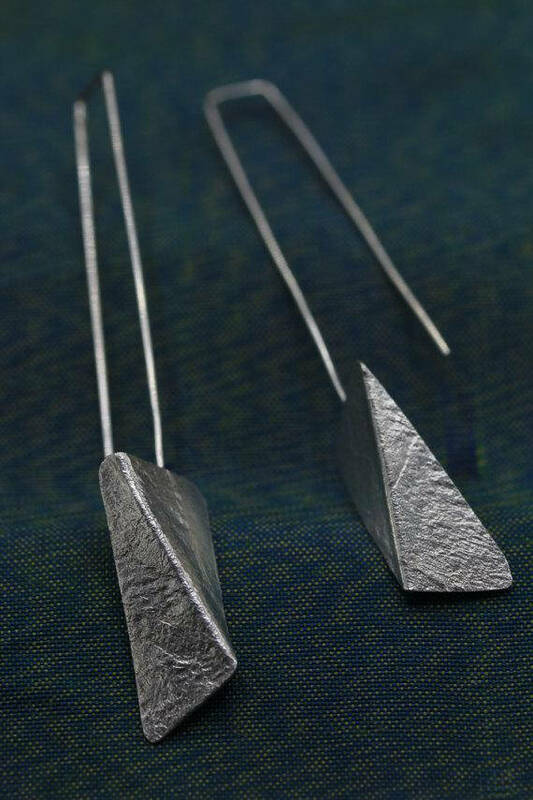 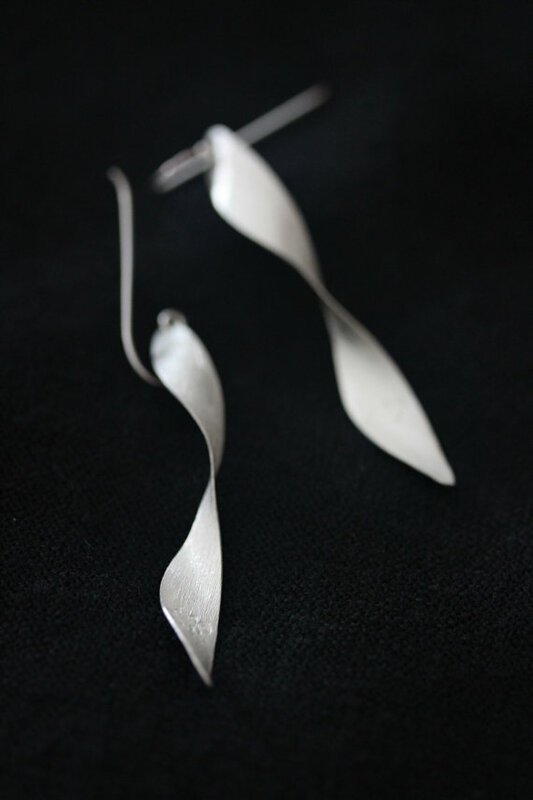 The rectangle shapes of these long stem earrings were crafted from a silver strip, which has been textured on surface with natural materials (wooden tree bark, straw, dry teak tree leaves, etc). 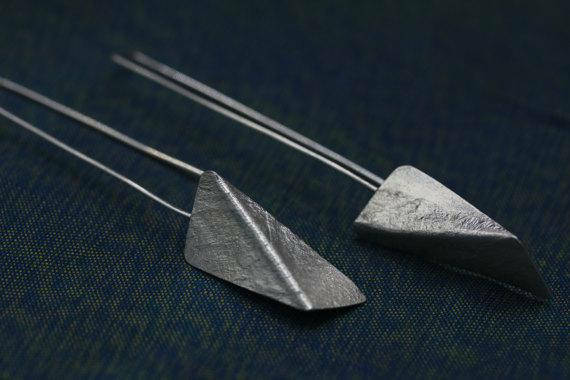 The silver strip was thinned to roughly around 0.5 mm thickness by passing it into a rolling mill together with various materials that left the surface textured with beautiful, deeply embossed, natural patterns. 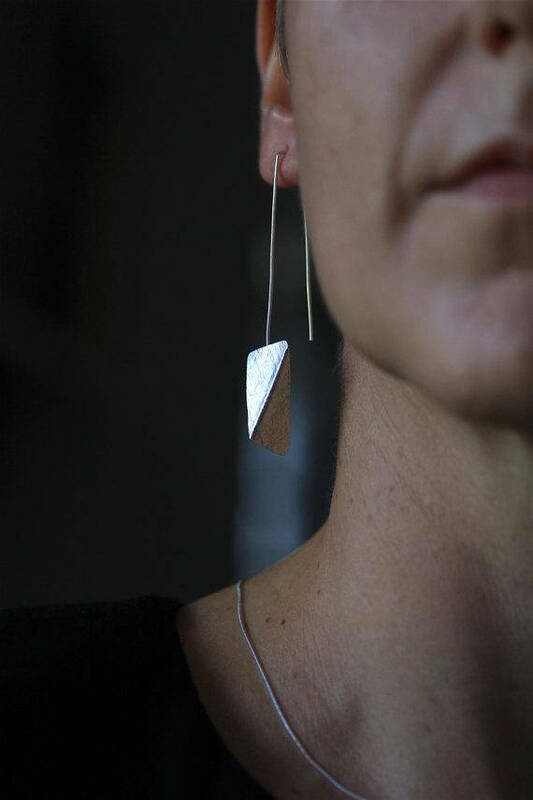 Two rectangles were cut in slightly different forms and sizes, smoothed on edges and bent into the final shape. 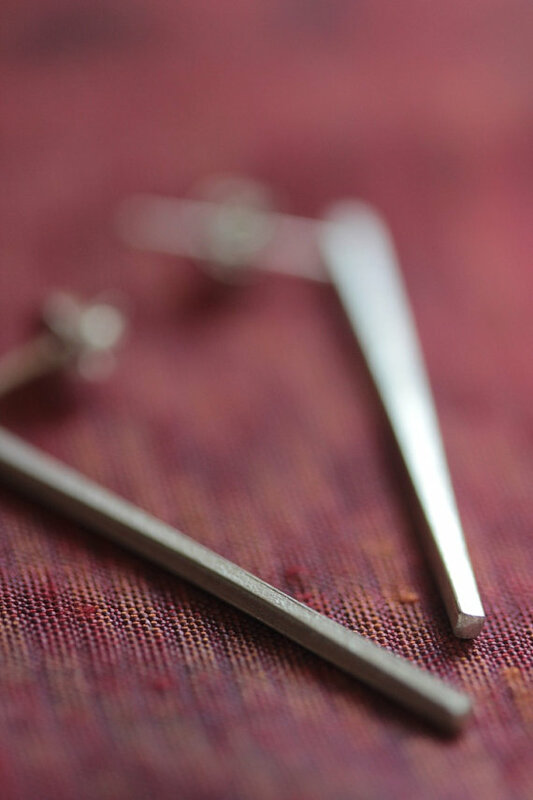 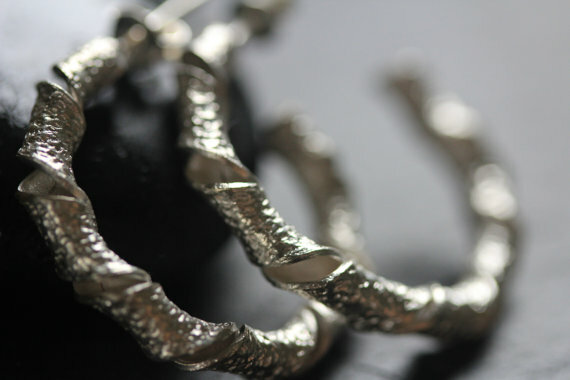 The silver pieces are soldered at the back on a long silver gauge that creates a hook of the earring. 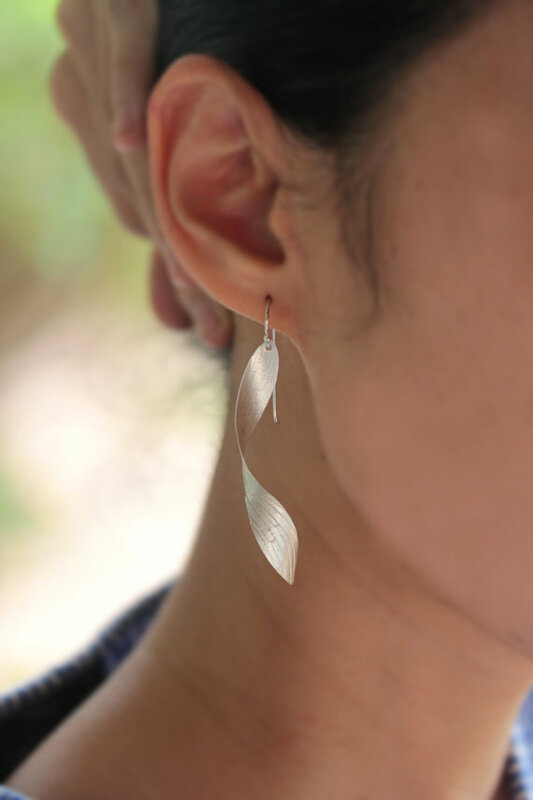 Our logo “Stories” was stamped at the back of the earrings. 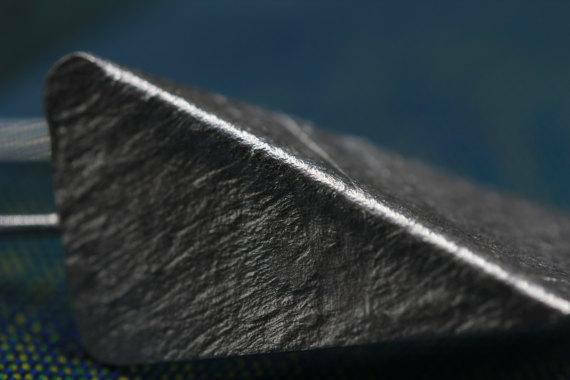 Because of the manual process of texturing the metal we can never recreate 100% same surface, however we will make sure the final effect is about the same. 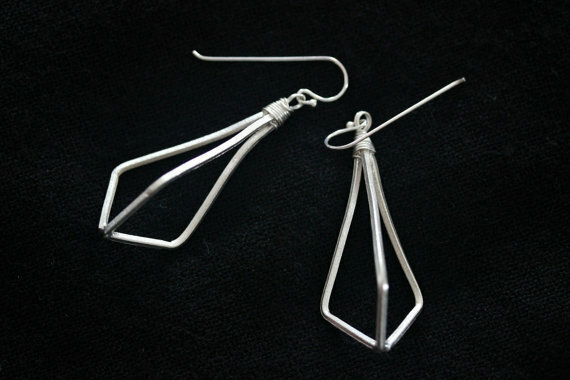 Uniqueness of the product is what makes it special, as no two earrings can be exactly the same.